The two kids from the Xuanyuan family also understood what was going on at this time. The old guy hadn’t eaten yet, so they couldn’t do anything either. After they ran away, Xuanyuan Peng took a large bite on the dried meat, then threw it over to Xuanyuan Xiongfeng and ran away as well. “It’s just a piece of dried meat. I thought it was a good thing. I haven’t let you eat meat for so many years, where did you find it?” Xuanyuan Xiongfeng’s two big fingers were pointing at the meat and he was talking to himself. Seeing the saliva of Xuanyuan Peng on the meat, he had to find somewhere clean to bite on it. “The third kid, I was going to let you go, now I’ve decided to let you work hard for a few years. How dare you enjoy such delicious thing all alone? Wait, perhaps I’m going to ask Guo Huai for more tomorrow.” Xuanyuan Xiongfeng took the dried meat and went upstairs. “Brother Huai, I suppose you slept well yesterday. Grandpa asked me to call you to eat.” Xuanyuan Tengfei took off early in the morning to come to Hu Mei’er’s yard. He had no idea whether Guo Huai slept well that night, but he hadn’t anyway, since after his Grandpa had lectured him and his father, then his father lectured him some more. And after returning home, his two kids stayed up for a couple of hours. After merely sleeping for two hours in the morning, Grandpa let me call Guo Huai to eat. “It’s a good place. I’ve rested pretty well. But it looks like as if brother Tengfeng didn’t sleep well. Eat this, it may make you feel better.” Guo Huai said, as he handed Xuanyuan Tengfei a little green pill. “Brother fei, you have dark circles. Didn’t you sleep well last night?” Hu Mei’er got up early, she knew her own Grandpa, since he saw Guo Huai as an important person, he must be here to call people to eat, yet she really saw Xuanyuan Tengfei. “Brother Huai, what did you give me? 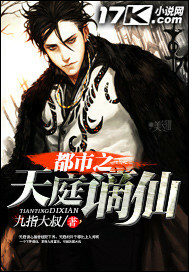 I am feeling good indeed.” Xuanyuan Tengfei said happily. “If you eat too much, it is not good for your health. When you have time, I will refine some other stuff to you, haha.” Guo Huai said, while a group of four people walked toward the living room. “Brother Huai, have you rested well?” Xuanyuan Peng saw Guo Huai and the four others, and said with a smile. “Third Uncle, it wouldn’t be the right title, just call me Xiao Huai. I rested well, but I don’t think you did. Did you have too much meat?” Guo Huai asked with a smile. “Xiao Huai, don’t talk about the meat. Get inside and eat!” Xuanyuan Peng shook his head, and saw Xiao Wei and Hu Zi at the entrance of the living room, looking sneaky. He worried a bit and was sure that he wasn’t going to have this breakfast at ease. 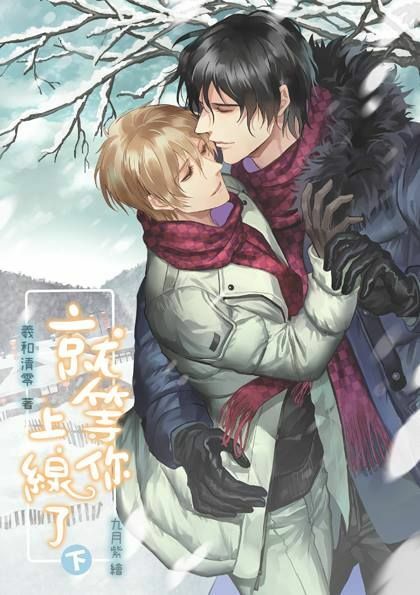 “Brother Huai, I arrived at the entrance of Yunhua Mountain Villa, but I can’t get in, why don’t we go outside to eat?” Guo Huai took the call of Liu Yan and he couldn’t help but feeling slightly touched. It seemed that this woman had everything arranged for that night, and she was coming on the last flight. “Xiao Huai, you’re really something.” Xuanyuan Peng smiled, “the two guys over there, come, your brother Huai’s wife is at the entrance of the villa, go get her and we’ll eat in the living room.” Xuanyuan Peng said loudly to Xuanyuan Wei and Xuanyuan Hu, the two guys quickly ran toward the entrance of the villa. “Father, I know that I’m wrong. So many juniors are here, don’t scold me here.” Xuanyuan Peng brought Guo Huai out of the living room, Xuanyuan Xiongfeng looked at Xuanyuan Peng and his facial expression turned more serious, while Xuanyuan Peng whispered. “After eating, we’ll talk about you. Huai, come here, and sit here.” Xuanyuan Xiongfeng smiled. “Grandpa, my wife is outside, and third uncle let Xiao Wei and Hu Zi pick her up.” Guo Huai smiled back. “Hey, then I would like to thank the old guy first, but this is a matter about finding a wife, I need to go back to Wucheng and ask for the approval of my first wife. If she agrees, then I’ll pick them up and send them to Wucheng.” Guo Huai laughed. “Well…Huai, isn’t your first wife coming today? How many women do you have?” Xuyuan Peng asked in a low voice. “Not a lot. Less than ten.” Guo Huai laughed. At this time, Liu Yan walked in with a formal wear. She’s so beautiful and Xuanyuan Peng had his eyes open widely. “Sit here. You’ve got face, even Xuanyuan’s Grandpa is waiting for you for breakfast.” Guo Huai said jokingly, making Liu Yan instantly blush. This is the Xuanyuan family and it’s the biggest family in the Imperial City, she’s so honored to be invited. “Sorry to disturb you.” Liu Yan said with a soft voice. “Haha, sit down and eat.” Xuanyuan Xiongfeng said, while several maids put the dishes on the table. Everyone was surrounded by food except Grandpa. “Grandpa, what do you want to eat?” Xuanyuan Tengfei whispered. “Oh, I thought you were going to say bigger stuff. Where is the kitchen? I’m going to make some for everyone, we cannot eat for free at Xuanyuan family.” Guo Huai walked outside with a maid. “Sister Liu Yan, you seem older than us. Are you Guo Huai’s first wife?” Xuanyuan Qianqian asked Liu Yan softly while watching Guo Huai walking outside. “Hey…who told you that I’m his wife? I, I am just…” Liu Yan’s face blushed even more, yet she didn’t know how to explain. Why would she get to the Imperial City from Wucheng if she’s not his wife? “Okay, sister Liu Yan, even if you’re his concubine, it’s nothing shameful. My Grandpa said that Mei’er and I will get married to Guo Huai too, and we’ll be one family then.” Xuanyuan Qianqian said directly, and Liu Yan was impressed by her bluntness.